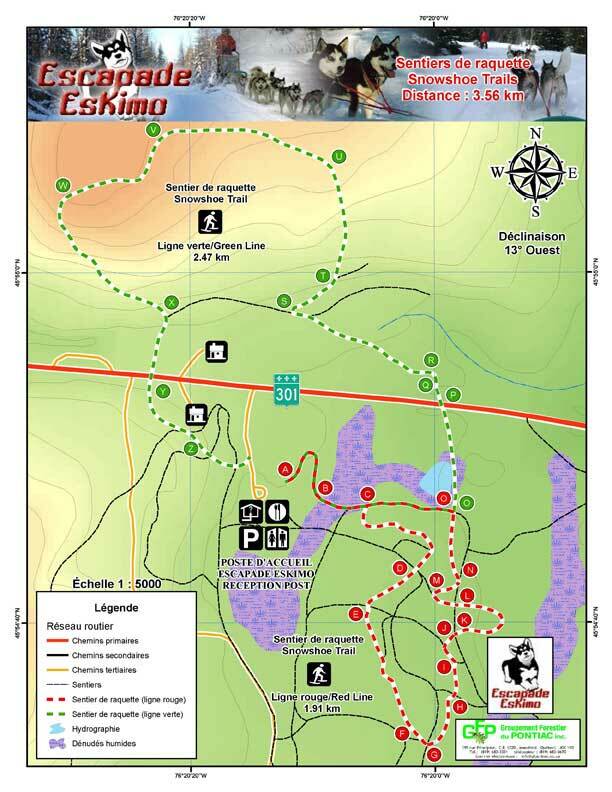 This activity includes the rental of snow shoes, a visit of the kennel and also a snack and hot beverages. Snowshoeing activity will last 3 hours. Fee: $30 / adult and $20 / children under 13 years old. Children must be accompanied by an adult. The price above does not include taxes and may be subject to change.